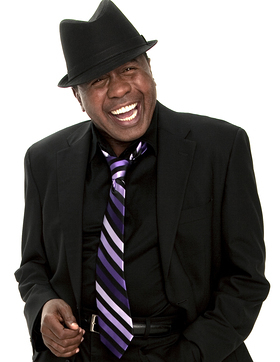 Award-winning actor, dancer and singer Ben Vereen continues his efforts with Taking Control of Your Diabetes (TCOYD) with support from Sanofi US to encourage the nearly 26 million Americans living with diabetes to Start Taking Action Now for Diabetes (S.T.A.N.D.). The new public service announcement (PSA) features Ben and others living with diabetes who don’t allow their condition to hold them back. Ben was diagnosed with type 2 diabetes in 2007 and worked with his doctor to determine the best treatment plan for him. Now Ben is hard at work on the S.T.A.N.D. program in the hopes of creating greater national urgency surrounding the disease. The PSA will air on broadcast and online channels nationwide starting in November for American Diabetes Month and will continue to air over the next several months. “We have enjoyed continuing to work with Ben Vereen and Sanofi US to raise diabetes awareness and admire Ben’s passion to inform others that diabetes doesn’t have to hold you back,” said Dr. Steven Edelman, founder and director of TCOYD, and also a person living with type 1 diabetes. The S.T.A.N.D. initiative was founded in 2009 and strives to help dispel the myths and misperceptions about diabetes and diabetes treatment options. S.T.A.N.D. aims to shift the perception of what it means to have diabetes and encourage people living with diabetes to feel empowered to take control and join the movement for better blood sugar control. Visit www.STANDforDiabetes.org to view the PSA and hear from other inspiring people living with diabetes, as well as explore new site features like the “Ask the Doctor” forum with Dr. Edelman.